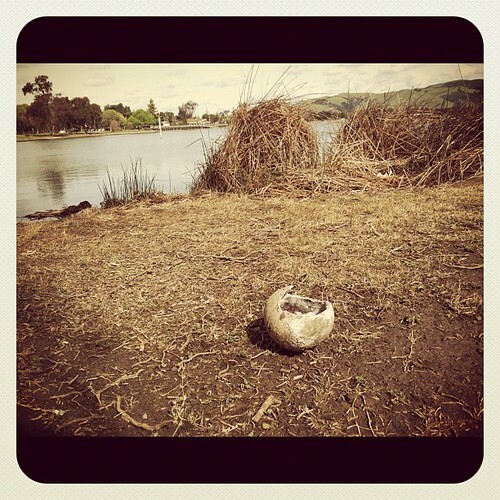 At Lake Elizabeth in Fremont: another sign of Spring. It looks like we have a new chick at the park. This is my entry for Photo Sunday’s challenge: Ground.